Antiques series. Marion Hankey enlists the help of Gloria Hunniford and Jonty Hearnden to declutter and raise money to pay for a new kitchen when she moves. Browse content similar to Hankey. Check below for episodes and series from the same categories and more! then we take those items to auction and raise lots of money, so that they can do something exciting. Today, we've been called in by an avid furniture collector. Will we find fascinating items? What will they be worth? Let's find out in Cash In The Attic. A-ha! We have some pottery that hasn't travelled very far. -It is. Well done. I'm teaching you well. You're teaching me very well. I love it. who has a penchant for collecting large furniture items. However, she has to downsize, so some things will just have to go. 'followed by a visit to an antique fair. 'She has one daughter Lisa and two gorgeous granddaughters. 'She's moving into the house next door to them. Marion's mother May will be moving as well. 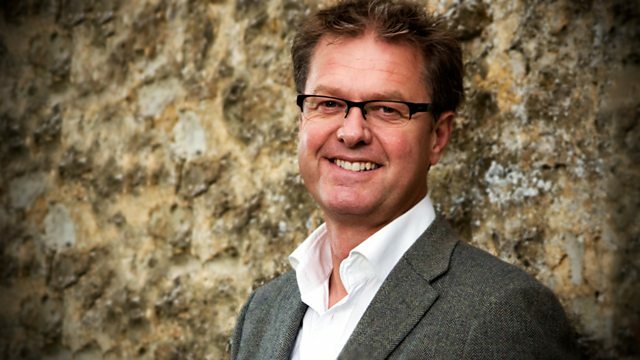 'To help us identify which of her collections might be worth selling is our expert Jonty Hearnden. -Hey, what a natter going on here in the kitchen! -Which one of you is Marion? -Very nice to meet you. This is your friend...? -You're going to help out and try and raise all this money. -How much money are we looking for? -A little bit of work ahead of us! How will you spend it? My daughter's bought a house next door to where she is. I'll be moving into the house they're buying. We're downsizing, so I've got to get rid of a lot of furniture. I'll ask you girls to put your coffee cups down. You've had enough of a break. -I think we'd better start work, don't you? -Your house is gorgeous. Shall we have a wander? 'We did say that Marion had visited a few antique shops and auctions over the years. Marion, meet the famous Jonty down on his knees for you already. and it fits so perfectly in your hallway. It's extraordinary. It is very grand. Do you remember where you got it? I bought it in a garage sale. Jonty, what kind of wood is it? It's an unspecified tropical hardwood. I think this wood has probably been stained because this is not a European piece of furniture. -This is from the Far East. It's incredibly ornate. Look at the top of this mirror here! but it's all inspired by European designs. In fact, a table and mirror like this is called a pier table and it's quite French. I believe this piece of furniture to be made no less than 20, 30 years ago. -So, Jonty, is it bad news? -It's a bit of a shock, really. -You're in shock, I can see. 'I think Marion was hoping for more, but it's onwards and upwards. 'Rosemary has already made headway in the dining room. 'Jonty gives them a healthy £40 to £60 estimate. 'are two dishes and vases by the well-known manufacturer Coalport. 'Jonty values them at a modest £20 to £30. I'm trying to do my life story, actually. -Yes, it goes back to 1609 so far. -was one of 17 children. -Are you surprised that you've unearthed so much information? to the siblings of my grandmother. Though we've never met, we're all in touch with emails. I know you've got this beautiful daughter and gorgeous grandchildren. Then you have your lovely mum living with you. How old is she? -My mum's nearly 94. She's great. -She'll be with you next door to your daughter? -Oh, yes. I wouldn't leave her behind! 'Our Jonty has not been slacking in the spare bedroom. 'He's noticed a very large chest of drawers. It's from the late 19th century. 'Rosemary has found something that Marion has been collecting for years. 'It's an assortment of Toby and character jugs - 12 large and 17 miniatures. 'and Jonty prices the whole lot at £100 to £150. -So where did this set come from? -I think Marion got it about 1974. She was doing a small catering course. She felt she ought to have a dinner party and this is when she got all these. As for value, the most important thing is who made it. We don't have any maker's names on here. -All it says is "Sheffield, EPNS," which is electro-plated nickel silver. -It's plated, rather than solid silver. But that's also fine because we have such a large set. Let's have a look at the case itself. That's mahogany. The outside is as fresh as the inside. At auction, we're looking at £150 to £200. That's very good. She'd be delighted with that. 'and comes across this lovely French reproduction two-seater settee. 'with a price tag of £80 to £120. Jonty, have a look at this. I don't understand what all the markings are, but it looks pretty special. What have we got here? A-ha! We have some pottery that hasn't travelled very far. It's Poole Pottery, yes, made locally. The factory is down on Poole Quay. Absolutely, Poole Pottery, very, very desirable and very collectable. Let's have a look at this one here. The design on this hors d'oeuvres dish is very 1960s. Established in 1873. That was Carter & Co.
but this one, particularly, was used between 1959 and 1967. -I see we've got two other hors d'oeuvres dishes and also lots of other designs. -Do you know where any of these designs were from? -Those three hors d'oeuvres dishes came from auction. -Yes. You see the similar sort of design? This is typical of Poole Pottery. but if you look at this jardiniere, it's completely different. In the 1960s, they went very jazzy and very funky. You had the more traditional, but you also had this kind of design. It should sell for more, but you've got to entice the dealers to buy. -Did you think it would be worth more? 'and he values it at a very healthy £80 to £120. Tell me about this. It looks like a small set of drawers. We've got a large drawer in the middle. This is actually a writing desk, like a lady's bureau, really. I've had it about eight years. OK. So where was this from? This was from a friend of mine's mum. She had to get rid of the flat. This was in it, I said I liked it, so I bought it. If I just close it up while we look at the front, we've got this lovely cross-banded decoration here. This is flame mahogany, so all this is veneer work on the front. The main carcass is mahogany. -You were aware of that, were you? there was a mass market in reproduction. and chairs and even bookcases, including small writing furniture. Value-wise, it's £80 to £120. -Definitely one for the auction sale? 'Good old Marion is certainly coming up with the goods today, but then she does need to downsize. in the whole house. I love this table. -a set of eight dining chairs. Is that correct? -Did you buy the set together? -400 for that and 250 for the chairs. is between 1835 and 1845. -It's either William IV or very early Queen Victoria. Is it classified as a pedestal table? because it sits on that lovely gun-barrel support. because the chairs never started life with this table. A breakfast table will be designed to have four to seat comfortably. But eight, as I'm sure you're aware, is a bit of a tight squeeze. So the design is late 18th century. in the late Victorian period. so no wonder they work very well as a set. because they're not related to one another at all. easily £400 to £600 at auction. £400 to £600, just for the table. -I'm sure you're dying to know how much all your pieces will make at auction. Well, about my person, I do have the total. -You were looking for £1,000. but you've actually got £1,560. -What's your reaction to that? -It's very good. It's more than I expected. 'We've had a fantastic day here and Marion certainly has some great items. 'I'm definitely going to keep my eye on a few of those as they head off to auction. 'At £50 to £100, the collection of Poole Pottery is sure to attract some interest. 'And there's the mahogany cutlery table with 12 of absolutely everything. 'It's a scoop at £150 to £200. 'Not forgetting that beautiful rosewood table and eight chairs. 'They'll be sold separately and between them, they should make £800 to £1,200. -The thing is, Jonty likes bijou, compact. -In all sorts of things. -That's why I like Gloria. -And so much timber. Cheaper than buying logs for the fire! since we visited Marion at her home in Bournemouth. so we've brought all her items and her furniture to Island Auctions on the Isle of Wight. so let's hope that there are lots of eager bidders in the auction room when her items go under the hammer. 'This auction house is based in Shanklin on the Isle of Wight. -Marion, I might have known I'd find you with part of your collection. And this is Ron? -We didn't see you on the day at the house. -Hello, Ron. Nice to see you. And I hear, by the way, that there is a terrible saga about the Toby jugs. They got taken away from the shed, unfortunately. It was broken into. -How many do you reckon you've lost? -There were almost 30 when I looked at them, so half the collection has gone? Even though we're sad about the Toby jugs, you have some amazing pieces to sell off today. Yes, we have got quite a nice lot. -Your house must look rather empty. but I think we should head into our position, and we wish you well. 'where potential buyers have left instructions with the auction house and they'll operate on their behalf. I've got 20 beside me. I'm looking for 22 now. 22 anywhere, please? 22. 24. 26. 28. And 30. 32. 34. 36? 34 right at the back. Looking for 36... 34 I've got right at the back. -You've got your money back. -Jonty, 20 quid above your estimate! That's fantastic. I like to be wrong sometimes. 'Only when it's in your favour, Jonty, and that sale certainly was. Quite a lot of interest in this. I've got 28 here. I'm looking for 30, please. 30. 30 I have. And 32? 32 I've got. 34 anywhere? -Are you happy enough with that? 'Marion seems to be enjoying the whole experience so far. I'm looking for 22. I've got it. 22. 24. 26. 28. And 30. 32. -It's like a runaway train. Lady in the window, 46. 48 in front. Gentleman, 48. 50. 55. 60? Yes! That's a good one, isn't it? 'One very, very delighted lady. Only £5 under Jonty's top estimate. 'Up next is the first of Marion's chest of drawers. Jonty, how will this fare? that it might not fit into so many people's houses. could go for such a small price? 40 will start us. 40 I've got. I'm looking for 42. It's a good chest, madam. 42. 44. 80. 85? You're out now. 85. 90. 95? 95. 100. 110? 180. 180 down here. Any advance on 180, please? -That's a bit above your estimate, isn't it? There was method in my madness, though. You have to estimate those to look so cheap that a lot of people want to buy them. -You don't want to be taking that home. 'It was obviously a risk well worth taking and Marion is over the moon. 'Her next lot is the Poole Pottery. I've got 40 here. I'm looking for 42. 50. 55? 55. 60? She's grinning at me. 60. 65? You're out though. 60 here. 65 I'm looking for. 65 I'm looking for. I've got 60. Do I hear 5...? 'Cheap, but well over Jonty's lowest estimate. -It's a very sweet piece. ready to be tucked into a dealer's pocket and out it goes. -That's why I like Gloria! He's in, 120. 130. 140? At 150, it's sold... 140, it's sold. Thank you. -Well above your top estimate. -I'm very pleased with that now. Yeah, very pleased. 'I should think she is. 'Her clear-out is going down well with the bidders. 'bear in mind that there are charges to be paid, for example, commission. 'so it's always worth checking in advance. 'Wow, £10 under Jonty's top estimate! 'Another great result for Marion. 'Lady Luck is still on her side. I'm very happy it's gone. I think Marion was hoping for a bit more. 'Will the sale of the next item bring a big smile to her face? -140. I've got 140 seated. -£20 over the top estimate. 'Yes, yes, she's happy again, and we can seem to do no wrong today. 'But now it's that incredible 12-place setting cutlery table. 150 I've got here. 150. I'm looking for 160 now. -I've got 150. 160. 170? -Ron's happy because there's no more washing up to do. 'This is a very good auction house for Marion. 'Every single item so far has sold above estimate. 'but because of the theft, she's left with only 12. -55. That was a yes? 55. 60? 65? 60 I've got here. 65, please. I've got 60 here. 65 anywhere? -In the middle of the estimate, yeah. -It's a huge pity because originally I put £100 to £150 on your collection. -We ended up with roughly half. 'Such a shame, but Marion has taken it in very good spirit. 'It's the final two lots and I'm particularly fond of this furniture. 600, phone? 600. 650, sir? 800, phone then. At the moment, 800 on the phone. 'What a result! I always knew the table would do well. 'But I didn't think it would do that well! 'And finally, those eight chairs that Marion had around the table. I've got 380 here. 400 I've got. 460 I've got here. 480 I've got. 500. -Right in the middle of the estimate. 'What a great end to the day! Her items have sold really well. -and start a bit of a new life. -I think the dinner is on Marion tonight. -It's got to be, hasn't it? You've got to give me a kiss now. -No, I don't want one, it's OK.
to check out some stylish designer appliances. it's not just an oven she wants, it's a range. I'd like a range cooker, really. That would be nice. -Similar to the one you have? I do cook a lot, a lot of entertaining. so I'm sure she'll be busy. I'm thrilled with the cooker. Very interesting when you start using it, then we'll really know about it. Marion Hankey is downsizing to a smaller home next door to her daughter, so she enlists the help of Gloria Hunniford and Jonty Hearnden to declutter and raise money to pay for a new kitchen when she moves.